Blocked drains can be a home owner’s worst nightmare! Whether it’s a blocked sewer line or a blocked storm water pipe, this can be one of the most frustrating and inconvenient plumbing problems you can have – especially if you are experiencing raw sewage running down your driveway, across your garden or worse, through your home! Throughout our experience within the industry, we’ve become acquainted with the tell tale signs of a blocked drain, and we believe that homeowners and business owners alike should have an understanding of how they can recognise whether a drain is blocked or not. • A foul stench from the drains themselves. • Manholes or external grates overflowing, signs of toilet paper around them. However, before one of these three signs are made evident, you’ll be greeted with several warning signs. If you act as soon as these become apparent you can prevent your drains from becoming totally blocked. 2. Water levels within the toilet being significantly lower than usual or pulsing. 3. Sinks within the property will have a smell about them due to trapped waste inside which cannot disperse correctly. 4. Overflowing outside gully and grates when the clothes laundry washing machine empties. If you’ve noticed any of the above signs, then your drainage system may be blocked. Instead of poking around in the dark, not knowing what you’re really doing or hoping to achieve, call us here at Newman Plumbing. Our experienced and specially trained team will be able to unblock any drains and waste pipes using the latest technology and techniques to ensure water flows through effectively. 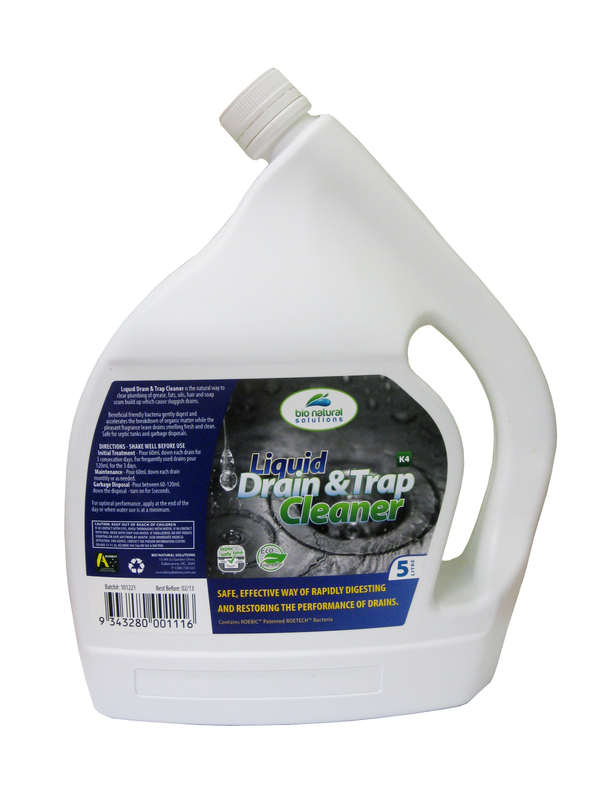 Instead of using harsh chemicals that can damage your pipes and are harmful to the environment. Check out some of the drain maintenance products at on our Blocked Drain Pipe Solutions web page. Make sure you don’t pour greasy or fatty liquids down the drain, as these will not flow easily through the drain pipes, causing blockages. The fats solidify on the sides of the pipes and narrowing the width of the pipes. Clean excessive hair from plug holes in basins, showers and the bath. It’s obvious but you would be surprised by what kids try to flush down the drain! So make sure such objects are not placed too close and knocked in…. Avoid using excessive detergent and soaps as this leads to a build up of the detergent and scum on the pipe walls and reducing the flow. Don’t flush sanitary napkins or nappies down the toilet, as they will get clogged and cause a blockage. Tree roots that grow into pipes are another great cause for concern. 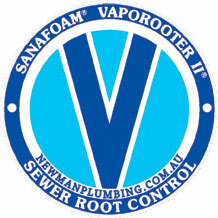 Newman Plumbing is a licensed applicator of Sanafoam Vaporooter where an approved herbicide foam can be applied to your drains for control of tree roots in your sewer drain. Using the latest drain camera technology with the powerful water jet and other specialised drain cleaning equipment enables us to locate blockages in sewer and storm water drains quickly and easily, saving you time and money by avoiding extensive and expensive excavation of your backyard! With the combination of both the drain camera and our professional drain cleaning equipment we can clear your drains of tree roots, dirt and silt buildup, penetrate grease and flush your drains clear. To also ensure the drains are clear we use our drain camera and show you the end result. If you have a blocked drain or waste pipe in Melbourne, call Newman Plumbing on (03) 0418 328 767 and have your blocked drain problem solved fast. Early detection of a blocked drain can drastically reduce the work involved to unblock it, saving you money. Home > Blog > How do I know if my drain is blocked?